Warrington Guest House01751 475028work01751 475028fax Guest HouseWarrington Guest House is located in the beautiful village of Thornton Le Dale. 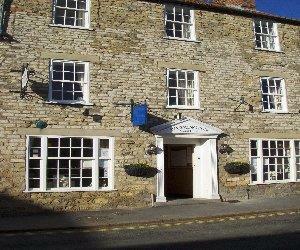 Set in the heart of this stunning picturesque village on the southern edge of the North York Moors. Warrington Guest House is an ideal base for touring the East Coast of Whitby and Scarborough, the North York Moors and Vale of Pickering. Surrounded by a number of visitor attractions, you are never far away from a day's entertainment. Flamingo Land Resort & Zoo is only 5 miles away and Dalby Forest, now recognised as GB's leading Mountain Bike trail provider is under 1 mile away. York and Whitby are within a 30 minute drive and Scarborough is just 18 miles East. Evening meals available on request and the Restaurant opens to the public on Friday & Saturday evenings. Packed lunches are available for your days adventure and afternoon tea is always available upon your return.